Item # 311990 Stash Points: 2,495 (?) This is the number of points you get in The Zumiez Stash for purchasing this item. Stash points are redeemable for exclusive rewards only available to Zumiez Stash members. To redeem your points check out the rewards catalog on thestash.zumiez.com. Buckle up and enjoy the ride in the Too Fast Red Web Belt from By Samii Ryan. 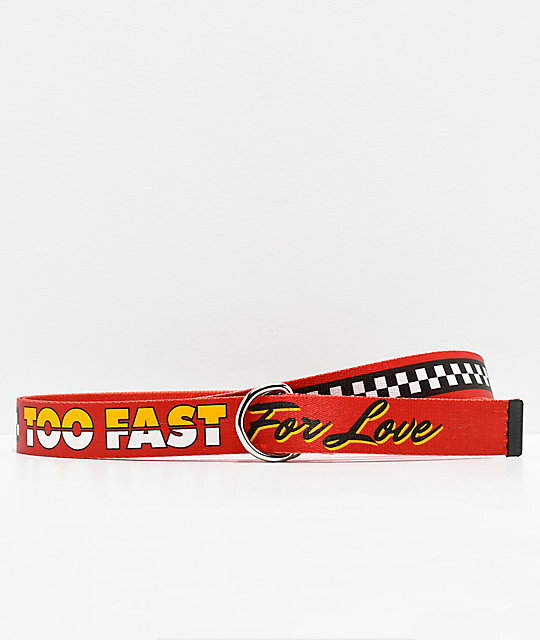 This webbed belt comes in a red colorway and features black and white checkerboard print throughout, along with text that reads "Too Fast for Love." With a D-ring metal closure and ones size fits most length, the Too Fast Red Web Belt is a must-have accesory from By Samii Ryan. Too Fast Red Web Belt from By Samii Ryan. 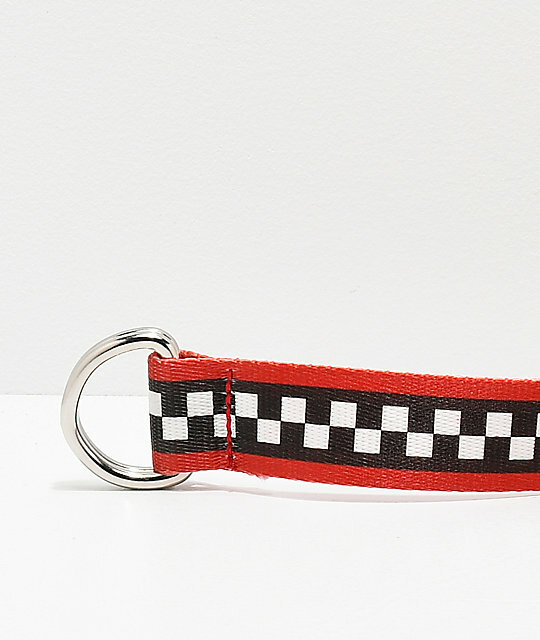 Red with black & white checkerboard pattern throughout & text that reads "Too fast for love."